Advantage is a family owned and operated termite, pest control, and lawn and landscape company serving Kansas City Metro, Lawrence, and Topeka. We service both residential and commercial properties, using the most current methods of treatment to ensure the best results for your home or business. At Advantage we are committed to the protection of our clients, their family, and their property all while being environmentally conscious. Since 1995 Advantage has protected thousands of homes and businesses from pests and termites. Our licensed and professional technicians are highly trained to handle any pest situation you might encounter. Our years of experience will give you the peace of mind you are working with a company that is going to provide the most comprehensive and professional service available. Our use of Integrated Pest Management (IPM) techniques minimizes pesticide use and maximizes safety for your family or business. We also offer GREEN services. John and his assistant were very professional. They took their time and were thorough. When it came time to pay they were respectful and detailed. I’ll be a customer for a long time to come. Extremely friendly, thorough and quick! Great service and excellent results to date. Vey nice and professional. Great results with their products. Accommodateing schedule. The tech was on time and did a great job inside and out. They always do a great job! I never have any issues. You always have done a good job. Flexible on the scheduling and always friendly. Quick to respond. Answered all of my questions. Didn't try to sell me more than I need. Professional service. This time, I had both interior and exterior treated. Will use again. I have had nothing but superior service since I started using Advantage Termite and Pest Control several years ago. Everyone from their service field technicians to the office staff has been very conscientious and top notch from the word go. I started using them for my mother’s home and they treated her with kindness and compassion and our first technician that worked with us, Jon, (who has since moved on up to supervisor capacity), was so kind to my mother and we felt like he was a friend of the family. I can’t say enough positive things about the excellent service and the people who staff Advantage Termite and Pest Control. I highly recommend them and I personally will always use them as long as I live in Kansas City! Advantage has been the most professional of any contractor we have used. They are pros - on time, nice guys, thorough. I really appreciate that if there is a problem between scheduled visits, they will come back at no charge (there hasn't been, but good to know). Services Techs are prompt, friendly, knowledgeable, and efficient! efficient and thorough, yet took time to answer questions and restrict applications in sensitive areas. Outstanding service and great price. Thank you. Wonderful friendly service. Very professional. We have used you before and will use you again and the ants are gone!! We are very pleased with this company for termite inspections and spraying for pests. Good company to work with and easy to get a quick appointment. Great service and reasonable pricing. I will be using them again. Advantage is an EXCELLENT company! They have the BEST costumer service! They do quality work and I have no pests at my house!!! I highly recommend this company! The staff is always very friendly and easy to work with. They stand behind their service and if there is any pest issues after they are finished, they will come back at no cost (I’ve never had this issue but I think it shows their commitment to helping the homeowner to be completely satisfied with their service). Another perk is they will follow up via phone/email when it is getting close to time for another appointment, just something that I don’t have to remember to do which is nice. We have been loyal customers of Advantage for well over 20 years. We started with them in Lawrence at the recommendation of a friend, after I complained of the lack of pest control from a national company’s services. We were ecstatic when we found out they covered the Lee’s Summit area. The brothers have been personable and professional in all services they offer. We’d take them with us if we could to our new home in Colorado if we could. They are top notch! I was able to call and set up an appointment quickly. The technician arrived promptly, was very professional and through. I would utilize them again. I wish Country Village Townhomes HOA in DeSoto, Kansas would utilize them as our indoor/outdoor pest control company. I would use them again, and recommend them. I have known Aaron Wolcott, the owner of Advantage for twenty years. He operates a top-notch company and hires professional staff. All Technicians are very professional and courteous. Have referred many of my friends and family to them. All I would ask of them is to keep up the good work! Very nice and knowledgeable service person, explained things and was polite. So far been very happy with your service. Very polite at the door. Just needed outdoor service. Could hear the wiping of cobwebs and the spraying. The report was promptly sent by email. Shortly I received invoice by same method. The technician was good to speak to us about the treatment and was very careful and focused on the job. We appreciate the quality of your staff and service. "The most important thing at Advantage is providing our customers with the highest level of customer service." This is from the Advantage website & I do not feel that this statement is valid. In Aug. 2017, Brad (co-owner) from Advantage performed a buyer-opted termite inspection at a home that my wife & I eventually purchased. The WDI report concluded that there was no visible evidence of termites & recommended no treatment. We did not ask that the sellers perform a termite treatment. In May 2018, my wife observed "winged ants" coming from a rotten-looking spot at the base of the front door. Brad returned in July 2018 & confirmed that in the basement, behind a piece of insulation, we had visible mud tunnel evidence of termites. The tunnel was dry & damaged so the tunnel was inactive; not brand new. The mud tunnel is immediately below the rotten looking spot near the front door; about 12" apart. The rotten portion at the base of the front door where the "winged ants" (termites) emerged was painted over in a poor cosmetic fix by previous homeowners. The termite activity occurred in the rotten area that the previous homeowners cosmetically addressed. Logically, this makes it very likely that termite evidence existed at the time of the August 2017 inspection & wasnt caught. The house is 20 yrs old & Ive owned it 11 months meaning I"ve owned the home for 4.6% of its structural life. Since the mud tunnel is inactive, I find it highly unlikely that termites arrived during the 4.6% of time that we owned the home. Basically a 1 in 20 chance. Brad quoted $700 + tax & $220 + tax annual maintenance on Sentricon. I asked him to meet me halfway & to perform the service at-cost but he did not express interest in negotiation. I told Brad that I was unhappy, out of options & would leave a poor review online which I am doing now. Brad, I encourage you to put the text from your website into action by meeting me halfway on a Sentricon system at-cost. The man who was spraying for spiders overheard our 4 yr old worry about her spider friends. He left to spray outside, and when he came in the 4 yr old worriedly asked ~ You didn’t kill my friends did you? He quickly responded ~ I asked all of them and I did not kill any of your friends. He was very compassionate. We adults of the house were cracking up laughing! Are you her friend? No? (Kill). Next spider who saw what happened nodded feverishly, oh yes! Best friends! Technicians are always on time and friendly. Advantage has done a great job taking care of our needs. we’ve worked with others and this one has been best in knowledge of product, being thorough, answering questions & always professional. Very professional and happy to please. We really like the folks at Advantage. They always call ahead to schedule our next appointment and provide good service, both on the phone and in person during treatments. We have been very satisfied with our service. The only negative is that no one followed up with us after our estimate was given. Thank you. Great job by your Service Tech./Rep. for treating under our wood deck for carpenter bees. He had to crawl under the deck several times to treat the area. Very brave. Bees were buzzing around him. He did a great job!!!! Great company. Been with you for 15 years and then when you started the lawn service we signed up too. Lawn service could be a bit better, but overall really good. Thank You Team! Advantage did a great job of spraying the outside of my home and also the inside. They also took the time to explain where certain bugs would be (if they ever show) and what types of ants to look out for. Very informative session. 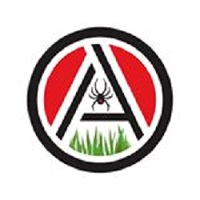 Would recommend them for any pest control.